Why should I participate in the Flexible Spending Healthcare Account when I already have medical, dental, and/or vision insurance? Over-the-Counter items such as blood sugar testing kits and strips, flu shots, etc. If I set aside part of my pay, won’t I make less money? No. Your net take-home pay will increase by the amount of taxes you did not pay. Can I change my contributions during the year? Only if you have a change in status such as the addition or loss of a dependent. What if I don’t use all of the money in my account(s) by the end of the plan year? You forfeit any funds left in your account if you do not submit eligible expenses prior to the end of the plan’s run-out period (60 days after the end of the plan year). NOTE: Some employers have adopted an option to help you spend down your remaining balance at the end of the year ($500 Carry-Over or 2.5 Month Extended Grace Period options). These options come at a risk to the employer. Please check with your employer to see if your plan has adopted one of these options. What if I am not covered under my company’s health insurance plan(s)? Good News! If you are eligible for your employer’s group healthcare plans but waive enrolling in them, then you and your family (legal dependents) can still participate in the Healthcare, Dependent Daycare, or Transit Accounts. Who is a legal dependent? A legal dependent is classified as your spouse, your child(ren), your adopted child(ren), or anyone else you are legally responsible for. This is a Federally-regulated IRS employee benefit plan and therefore charges incurred by domestic partners and/or their children (not your biological children) are not eligible for reimbursement under this plan. You may not submit charges incurred by anyone other than yourself, your spouse, or your children, otherwise known as your legal dependents. Once you have completed the Flexible Spending Account Enrollment Form, you will receive a claim form and instructions on how to file a claim. Simply complete the form, attach a copy of the itemized healthcare or dependent care statement and send it to Sound Benefit Administration via fax, email, or mail. You may also complete an online claim form (logging into the SBA website is required for this) and upload your claim backup securely. What paperwork is required for a medical, dental or vision claim for reimbursement? Itemized Patient Statements from service providers and Explanation of Benefits (EOB’s) from insurance carriers are perfect forms of documentation. You do not need to show proof of payment. Dual-purpose items such as massage therapy, membership to a weight loss program, over-the-counter medicines, vitamins, herbs or supplements, require a medical practitioner’s referral that includes the diagnosis of the specific medical condition for which it is prescribed. We require a copy of that referral each time you request reimbursement for that item. Over-the-counter medications, vitamins, minerals and supplements used for general health are not eligible for reimbursement. Do I need to mail original receipts? No. If you fax photocopied claims to us you do not need to mail originals. Additionally, if you mail your claims instead of faxing them, PLEASE keep original receipts for your records and mail us photocopies. We do not want the responsibility of storing your originals. Do I need to show proof of payment to get reimbursed for a claim? No. You do not need to show proof of payment. You only have to show you have incurred the expense. In some cases proof of payment may help substantiate patient responsibility. Will a credit card receipt substantiate my claim? No. Do not submit copies of cancelled checks, credit card receipts or debit card receipts. This does not meet the IRS requirement of having the date of service, description of service, and patient responsibility. An EOB or Itemized Patient Statement shows all of this required information. What date makes a charge eligible? The “Date of Service” is the date you incurred the charge. Eligible charges for reimbursement must be incurred during the plan year or while the participant is enrolled in the plan. Charges incurred prior to the plan start date or after the plan end date are not eligible for reimbursement. Charges incurred prior to a participant’s enrollment date or after the termination date are not eligible for reimbursement. Our plan started and I received an old bill and paid it in the new plan year. Is this an eligible claim during this new plan year? No. It doesn’t matter when you pay the bill. Payments for something that occurred before your plan year are not eligible. The date you incurred the expense must fall within the current plan year to be eligible to be reimbursed under the plan. Can I only claim the amount that is deposited into my Healthcare Account? No, you are eligible to receive reimbursement for your entire patient responsibility up to your plan year election regardless of what’s been deducted from your pay to date. How often can I file claims on my Healthcare Account? As often or as seldom as you choose throughout the plan year. How long do I have to submit my healthcare claims for reimbursement? You should submit claims for reimbursement during the plan year, but in no event later than 60 days after the end of a plan year. For a terminated employee or any participant who is no longer eligible under the terms of this plan, claims will still be reimbursed but only if such reimbursement requests are made by the earlier of (1) 60 days following the date that I ceased my employment or eligibility; or (2) the end of the 60-day period following the close of the plan year in which the expense arose. Any claims submitted after that time will not be considered. $500 Carry-Over provision– sixty days after a plan year has ended, any remaining balances up to a maximum of $500 will carry-over into the new plan year and be made available in addition to your new year election (if any). Claims incurred in that new plan year may then be applied to the old plan year’s unused balance until it is fully reimbursed. 5 month extended grace period provision– if a plan year ends and a participant has an unused balance of any amount, it will be available in the following 2.5 months. A typical 12 month plan year would have a total of 14.5 months for a participant to incur charges to spend down an unused balance. 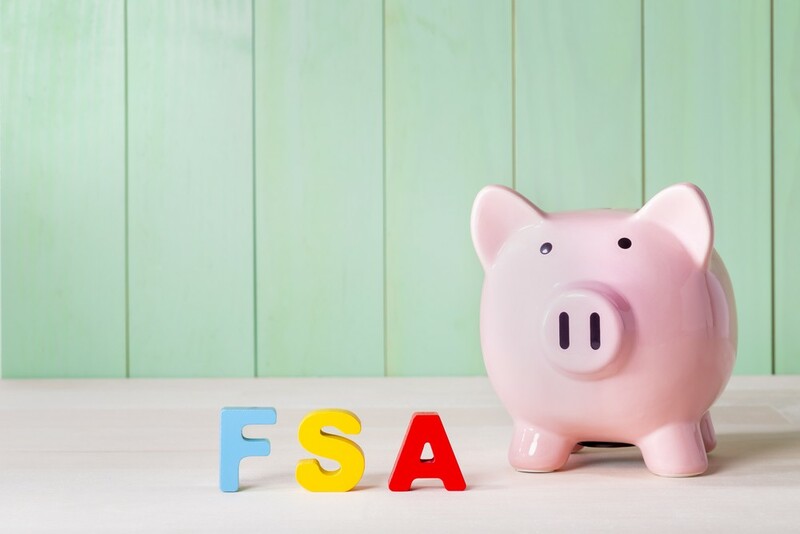 Please consult your employer to confirm if your Flexible Spending Account plan has adopted either the $500 carry-over provision or the 2.5 month extended grace period provision. Neither provision is available to terminated employees. Claims received between Monday and Friday are processed. The following Tuesday we will notify your employer that you need to be reimbursed and the amount (never details about your claim). Check with your employer to find out what their reimbursement method is because each employer may reimburse participants differently. Can Sound Benefit Administration pay a provider directly? No. You are reimbursed and you pay providers directly. What do I need to do if my claim is denied? Ineligible or duplicate claims need not be resubmitted. Some denied claims for reimbursement require more information. A new claim form must be completed with the additional documentation being requested. How can I find out if you received my faxed claim? We are unable to verify the receipt of your fax for one full business day after it is sent. Please do not fax your claim and call us within the hour to verify if we’ve received the fax. What do I need to do if I terminate employment? You have 60 days after your last day at work to submit claims incurred during the plan year up to your last day worked. After 60 days your run-out period has ended unless you work for a COBRA eligible employer and have elected the FSA as a COBRA benefit. NOTE: The 2.5 month extension or $500 carry-over balance does not apply if you terminated employment. Can the cost for orthodontia treatment that lasts longer than the current plan year be reimbursed up-front? Yes. Submit a claim form requesting your out-of-pocket expenses along with a copy of the orthodontia contract and we will reimburse the total amount of the treatment up-front up to your annual election, less previous reimbursements. You will no longer have to submit a Claim Form each month as services are rendered for reimbursement. Do I have to pay the orthodontia charge in full before it can be reimbursed to me? No. It is not necessary to pay the entire amount up-front in order to be reimbursed for the total contracted amount. Remember, we can only reimburse you for the total cost up to your annual election, less previous reimbursements. If the cost of the orthodontia treatment is higher than my employer’s annual maximum election limit or my annual election, can I request for the remaining balance to be reimbursed in the next plan year? Only if the orthodontia treatment continues into the next plan year. If the treatment is completed during the current year, no balances can be carried over to the next plan year. What paperwork do I need to submit a daycare claim? We have two daycare claim forms for you to use. The first is when you use a licensed provider who supplies monthly invoices for daycare services. The monthly invoice should include the contact information and the Federal Tax ID number of that provider. The second form is for non-licensed providers who do not provide a monthly invoice. Complete this form and request the signature of the daycare provider. No additional receipt is necessary when you use this form. Remember, it is not necessary that you pay your daycare provider before you submit a daycare claim. Both claim forms are available in the forms library. Can I submit daycare expenses for reimbursement if my spouse is not employed? If a spouse does not work, and is not disabled or a full-time student, daycare expenses are not reimbursable. If your spouse is either a full-time student or not able to care for himself or herself, your spouse will be considered to have earned income of $250 a month if there is one qualifying dependent in the home, or $500 a month if there are two or more qualifying dependents in the home. Therefore, qualified daycare expenses are reimbursable. Can I take both the dependent care tax credit on my tax return AND use this account to pay for my dependent care expenses?